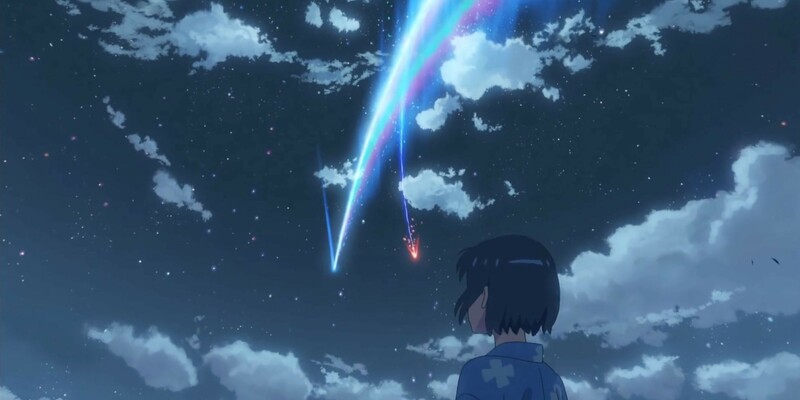 Kimi no Na wa, or Your Name, is a film that I’ve talked about once before on Jon Spencer Reviews. I did a quick reaction/reflection on the film immediately after having seen it in theaters when it came stateside. Needless to say, I had a wonderful experience. That being said, I saw the film subbed then and my writing on the experience was hardly an in-depth piece on my opinion of the film. Today I’ll be talking in more detail about why I enjoyed Your Name so much and my thoughts on the dub this go around. 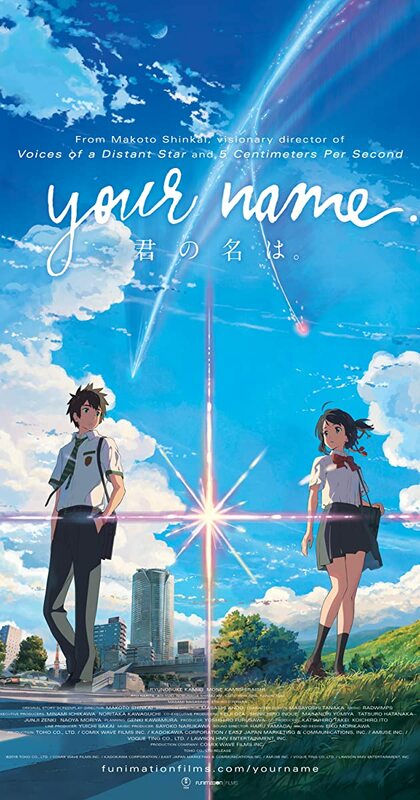 Aside from the visual presentation, what really makes Your Name work for so many people, myself included, is the fantastic soundtrack by RADWIMPS. Without this critical component the film simply wouldn’t be as good as it is. This being such an important factor in the viewing experience, I was surprised when the dubbed version had all the music in English. Before I even speak of the actual dubbing, the change in the music could be welcomed. However, the English versions of each of the, now fairly iconic, songs felt weaker and occasionally out of place. The emotional weight and intent behind each scene that worked in tandem with the music usually worked, but the impact was greatly diminished. Most of this had to do with the singer not being up to par with the music and clumsy translation of the lyrics. It was a good effort and something I’d like to see more of, because I know it can be done well. Let’s look at The Melancholy of Haruhi Suzumiya for one such example. In this series there is an episode where the cast puts on a music performance. I was so surprised when the performance was not only dubbed, but also good. In addition to this, the voice actress for Haruhi even sang the song which is just incredible! “God Knows” isn’t perfect, but that’s kind of the point. Still, it is comparable to the Japanese version in terms of strength and presentation. Knowing that this kind of conversion is possible really saddens me that Your Name missed the mark when attempting the same sort of thing. As to the actual dubbing itself, I was curious how it would handle certain aspects of its Japanese counterparts. Specifically, there was one joke that I especially wanted to know how it would be played off in translation. There is a line in the Japanese dub that has one of the characters say “watashi” instead of “ore,” for referring to ones self as a male. It’s a rather small moment, but it was something that stuck out for me and struck me as particularly funny (and not to mention clever). In the English version, I know the joke they used instead still worked but… I cant remember it at all. This is pretty much my whole stance on the dub, it is serviceable but not particularly great. For this being a Funimation dub, this is disappointing. It really feels like they phoned this one in and dropped the ball. Don’t misunderstand though, the dub is still good. As someone who prefers dubs, I just know that this one could have, and really, should have been better. It just didn’t click. That being said, there were parts of the dub that I enjoyed. Of these I think the following characters benefited from the dub: Yotsuha and Sayaka. For whatever reason, Yotsuha isn’t given an English credit on MAL so I don’t know who voices her, but she did a great job. Seeing that Yotsuha is Mitsuha’s younger sister, it was nice to have her sound like a child. I have no idea if an actual child voiced Yotsuha, but if she wasn’t voiced by one, then the acting is even more so impressive. It’s a nice touch when something relatively small works like this and it goes a long way for making the story just that much more believable. Sayaka’s English voice actor is Cassandra Lee Morris, who is somebody I really like hearing in anything. Sayaka is a pretty minor role, but just hearing Cassandra’s voice brightened the dub for me. You may recognize her as Taiga in Toradora! or Saki from Durarara!! Now having seen Your Name for a second time, I noticed some minor problems with the film. Some of these I’m definitely chalking up to the weaker singer, but there were some minor pacing and story issues. Nothing that hasn’t been said about the film before, but the second time through they stuck out a bit more for me than they did the first time. Part of this had to do with stripping the theatre experience from watching it again. Some of the big moments in the film lost some weight because I don’t have hard-hitting surround sound that physically effected me. The breathtaking scenes, while still excellent, lose something when translated down to a small screen as well. 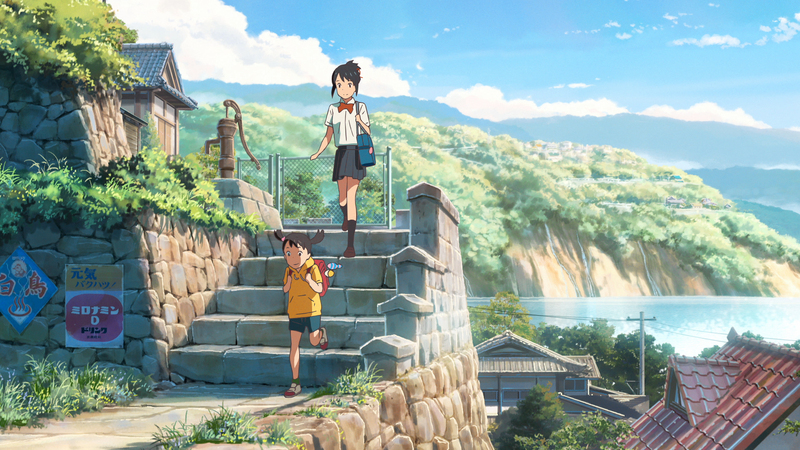 Your Name really was a film that benefited from seeing it in theaters. What I haven’t mentioned yet is that I actually watched this with my younger cousin during the Thanksgiving Holiday. She’s just about done with high school for age reference and has never really watched any anime outside of Ghibli films. She loved the film so much she bought it immediately after we watched it, and she cried a bit too. 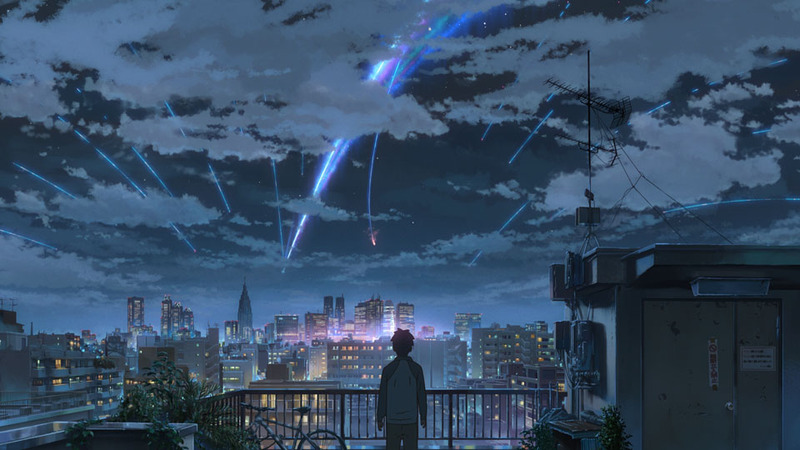 So while I definitely felt a bit disappointed by the dubbing and film experience with Your Name the second time, it obviously still managed to land on a first time viewing from somebody with an outside perspective. I asked her a bit more about the film for this piece and she said that the film was just so beautiful, had wonderful music, and told a story that totally engrossed her. I can’t think of a better endorsement of Your Name than that. If you haven’t already and ever get the chance to watch Your Name you shouldn’t pass it up. While the sub version is better, even if you watch it dubbed, you will still probably enjoy this one. Sure, there are some problems here and there but every film has them. I highly recommend this one. 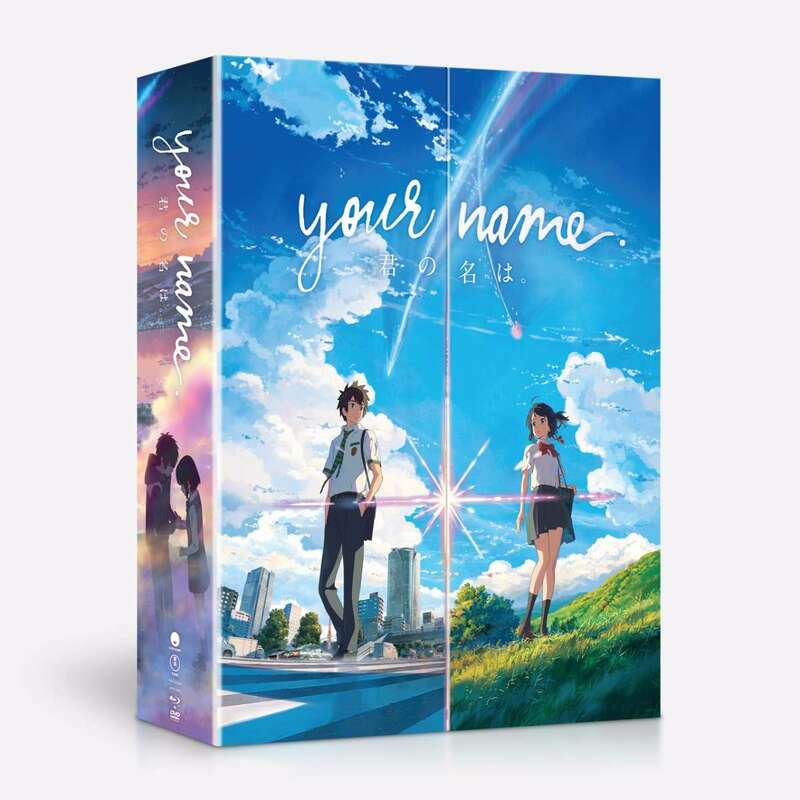 Makoto Shinkai’s Your Name is a film that is a must-have in any collection and should be seen by anyone who considers themselves an anime fan. You can purchase the film from several online retailers but I recommend Rightstuf personally. There are both standard and limited edition sets. I have the LE and it has a gorgeous box, companion book, both DVD and Blu-ray versions of the film (plus extras), and the superb soundtrack. At the time of writing there is no legal streaming for Your Name available. What are your thoughts on Your Name? Have you seen the dub? Let me know in the comments below. If you’d like to see more content like this then consider supporting me on Patreon. For full details just click the picture below. Thanks for reading and I hope to see you back here again at Jon Spencer Reviews again! I still have to watch this film. This and Children Who Chase Lost Voices are the only Makoto Shinkai movies I’ve never seen. Good work on critiquing and praising aspects of the dub and by noticing some issues the second time around. Ah, you definitely should see this one. I own some of his other films but haven’t seen them yet myself. Any way, thanks for the compliment too! 😀 It wasn’t so much that I didn’t notice the issues the first time through, they were just more obvious the second time but still, nothing so bad that it made me think any less of the film. I do plan on watching Your Name. Which other Shinkai films do you own? Don’t worry, I wasn’t calling Your Name a bad film. I do appreciate how mentioned both positives and negatives in this movie. No worries, I know I was just offering some clarification on that one point. The films I own are: 5cm, Children, Garden of Words, and Your Name. Sure thing. That’s most of his films right there that you have. Nice! I recently rewatched The Place Promised In Our Early Days over the weekend which was Shinkai’s first full length film. Yes, without going into too much detail. Haha! I wrote the first draft of that review yesterday on my day off. 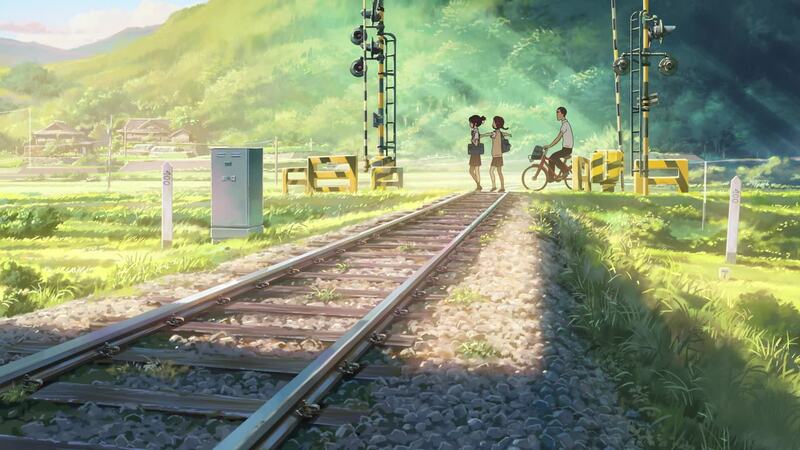 I think anyone who likes Shinkai’s movies will certainly enjoy that film. If I do recall, The Place Promised In Our Early Days was the movie where people first started calling him “the next Miyazaki” shortly after it came out. Yup. I recommend seeing it at some point. Oh man I own this but I haven’t watched it yet. Stupid DVD player isn’t working at them moment. The film is good, I take it! Yes, I would say it’s fantastic. There are some minor story inconsistencies if you think too hard about thorn but that’s about it. I still haven’t had the chance to see this (either sub or dub) but it is definitely on my list to get around to eventually. I think you’ll enjoy it 🙂 Look forward to when you do get around to it and throw in your two-cents.